There are many choices when it comes to picking a front door. Most popular choices in GTA are either painted steel doors or fiberglass doors. 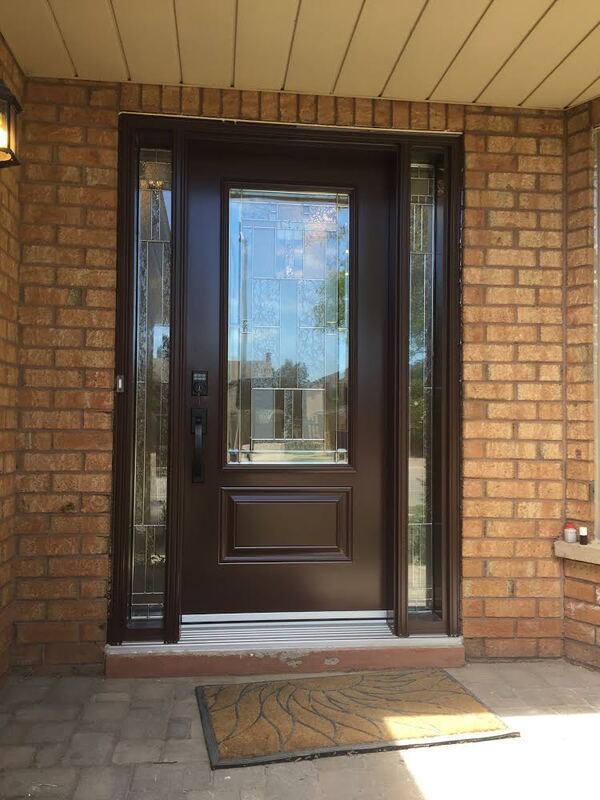 Steel entry doors have a classic look, are durable, come in many designs, can be customized with decorative glass inserts, and painted in a custom color.Can be had with a sidelight, dual sidelight, as dual doors or a single door. Steel front doors are also the most economical choice when it comes to replacement doors. Fiberglass doors can imitate any exotic or domestic hardwood, which is why many people choose fiberglass doors when it’s time to replace their entry doors. Fiberglass by itself is not as strong as steel, warps and bends with heat, which is why they are reinforced with steel from the inside, slightly increasing their cost, compared to steel entry doors.